I love the soothing and calm demeanor of this book in audio format. I find myself drifting off and imagining the landscape, the people, the essence of where they are, what they are doing and what is being said or felt at that moment in time. What was one of the most memorable moments of Lunch with Buddha? This books comes with a sense of sadness, a edge of your seat profoundness. I appreciate the experience of letting a loved one go in this book, different from Breakfast, and I love the break in sadness with a tough of the Rinpoche's unassuming humor. Every moment of this book brings me close to emotions felt in my own life. I've laughed and cried at many moments throughout. A book I can relate to and yet it still takes me away from my day to day. 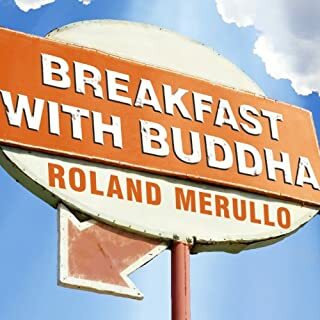 Roland Merullo is a genius! His books are relatable, profound, and intense. 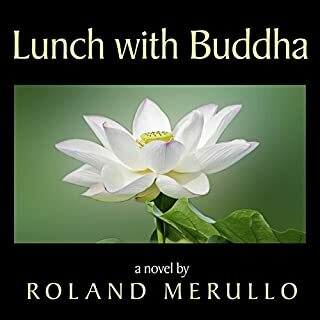 No matter what religion you are or what level of spiritual awakening you've had, his Buddha books are written in a way that opens a window or a door, they hint at questions that have always lurked in the depths of your mind. I'm in love with this serious and look forward to others written by Roland! I received this book as a gift for my birthday. I love the story and the way it tied so much into my own life and my own questions and wonders. Brilliant!